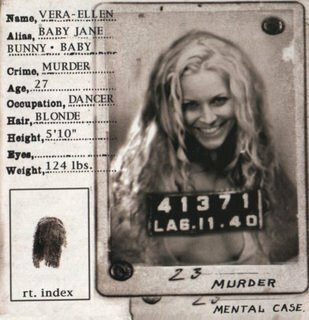 Female Killers: Baby Firefly. . Wallpaper and background images in the Film horror club tagged: house of 1000 corpses devil's rejects baby firefly sheri moon zombie killers photos. This Film horror photo might contain giornale, carta, riviste, tabloid, straccio, and rivista.